We are pleased to announce the dates and focus for our 2016 annual conference. Titled ‘Waste Not, Want Not: The Circular Economy to Food Security’, our 2016 conference will focus on food loss and waste and will be held in Canberra on 29 and 30 August. 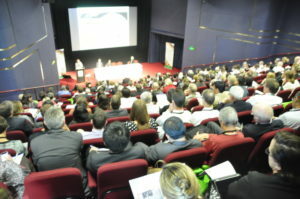 The Crawford Fund’s annual conference holds a key place in the development and food security calendar in Australia. For more than two decades we have successfully brought into focus an issue worthy of global and Australian attention. This year will be no exception. Our 2016 focus on food loss and waste will take on issues along the supply chain—in production, in getting product to market, and in the management and reuse of waste. This focus comes just as a number of international and Australian efforts and innovations get underway within both the public and private sectors in research, policy and on-the-ground action. We consider this an ideal time to delve deeper into the way ahead around food loss and waste for improved food security, rather than going over the extensive global discussions to date. By attracting the world’s best speakers, providing extended question and answer sessions and opportunities for informal networking, the Fund’s conferences enable participants to contribute and to place food security issues into a context relevant to their lives and work. And being the key event around food security, the networking opportunities are always highly appreciated. 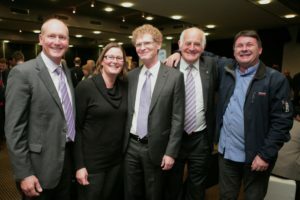 Our conference this year will include the Sir John Crawford memorial address at our popular networking dinner on 29 August and our one-day conference on 30 August, at The Realm Hotel, Canberra. We will continue our successful Conference Scholars Program to encourage young people in their study or careers in international agricultural research. Our conference scholarships will be launched soon to include travel, accommodation and conference attendance, mentoring throughout the event and also a day’s worth of special activities and engagement before and after the conference. We hope many who will attend the conference will also support our efforts so we can grow our alumni of early career attendees. 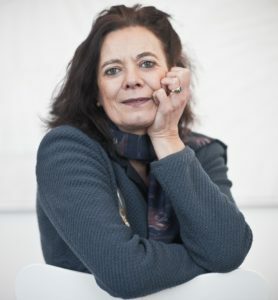 While we are still firming up our program, we can confirm that Professor Louise Fresco, President of the Executive Board of Wageningen UR (pictured) will be giving the Sir John Crawford Memorial Address this year. Our website will be updated as more information is available with the final program, speakers’ biographical notes and abstracts and a notice will be distributed as registration opens. Our conference often sells out. If you are not currently on our database for notices, please email crawford@crawfordfund.org to be placed on the list and be notified as soon as registrations open. Conference filmstrip image CC attributions: File:LaasqorayTuna.jpg; File:Supermarkt.jpg. Remaining images are either in the Public Domain, or owned/permitted for use by the Crawford Fund.